Run for the fun and benefits: Your health (exercise), Healing Hearts for Ashley Foundation (fundraising) and maybe your wallet (awards). Registration is required and includes: t-shirt, refreshments and entertainment. This 5K, 10K, Double, and Fun Run is open to all ages using CARA age categories for awards. 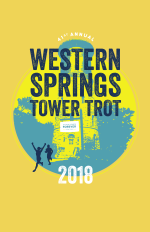 For the first year, the Western Springs Tower Trot will be partnering with the Healing Hearts for Ashley Foundation. Ashley Jurjovec, a former Western Springs middle school teacher, passed away suddenly from a genetic heart condition called Arrhythmogenic Right Ventricular Cardiomyopathy (ARVC) in May 2016. The Healing Hearts for Ashley Foundation was founded in honor and memory of Ashley Jurjovec in 2017. The foundation is committed to raising awareness for ARVC and to support research for The Cardiovascular Genetics Group at Lurie Children’s as they work to identify families with inherited risk of sudden death and improve clinical and genetic assessment for those families. *No portion of the race entry fee is directed to the charity. Post Race: Water, Gatorade, yogurt, pizza, fruit, bagels, and sweets will be provided for all runners. The Healing Hearts for Ashley Foundation will present the race awards and winners of the raffle items. Double your fun! Run Both! The 10k starts on Grand Ave and finishes on Lawn Ave. You must cross the 10k finish pad and cut through the parking lot to get to the 5k start on Grand Ave, which is just North of the parking lot. 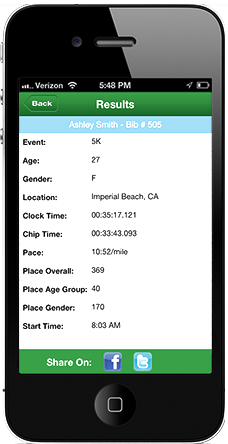 If the 5k has already started, be sure your chip crosses the timing pad as you run South to start. Online registration is available beginning Monday, March 25, 2019 until 15 minutes prior to Start time. Race Entry Form may be returned by mail or in person to the Western Springs Recreation Center, 1500 Walker St., Western Springs, IL 60558 until 4:00 PM Friday, May 24, 2019, or the day of the race starting at 7:00 AM at Grand Avenue Community Center, 4211 Grand Ave.
On race day, race packets will only be available at Grand Avenue Community Center. Experience our GREEN goodie bags, as we help to reduce waste footprint! The bag opens on May 22, 2019. Review sponsors and what they have to offer. Remember to click SAVE on any offer you may be interested in before the bag closes on June 9, 2019. Your saves can still be used after the close date. Please make checks payable to "WS Recreation"
Click here to view race results. See top right to download the app for your phone. All DOUBLE runners receive a long sleeve shirt in lieu of a short sleeve. LIKE US, Comments, Add photos, etc. from previous Tower Trots on our FACEBOOK page! If you don't see the FB widget on the upper right, click here.